This baked macaroni and cheese is a classic comfort food. It's a simple recipe to follow with no white sauce to cook. 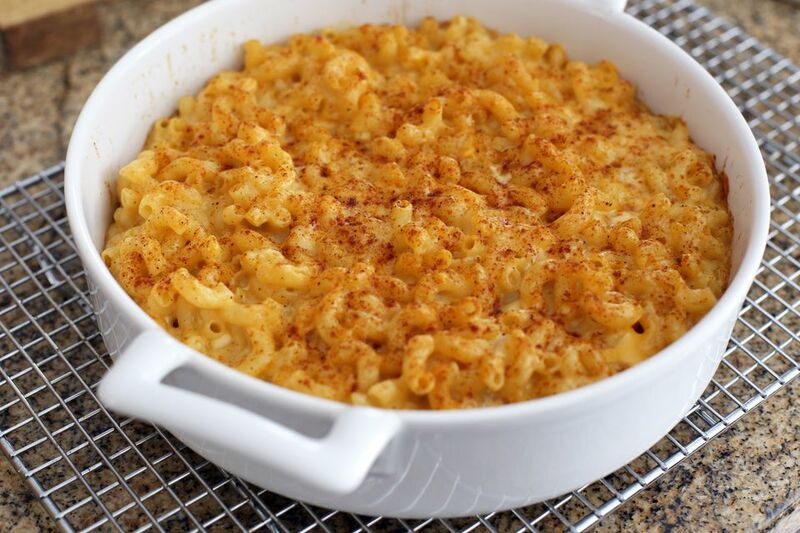 Just mix the hot macaroni with the shredded cheese, milk, and egg mixture and bake! Serve the mac and cheese as a main dish with a salad or vegetables, or serve it as a side dish with just about any meat. It's great with hot dogs or ham, or serve the dish with fried chicken. Heat the oven to 350° F (180° C/Gas 4). Butter a 2 1/2- to 3-quart baking dish. Cook the macaroni in a large saucepan of salted boiling water over medium heat. Drain in a colander and return the macaroni to the saucepan. Stir in the butter or margarine until melted, and add salt and pepper, to taste. In a bowl, whisk the eggs with the evaporated milk until blended. Set aside. Add the cheese to macaroni and stir until it is well blended. Most of it should have melted. Stir in the egg and milk mixture until well blended. Spoon the macaroni and cheese mixture into the prepared baking dish. Sprinkle paprika over the top and bake in the preheated oven for 20 to 25 minutes, or until lightly browned. Replace 1 cup of the shredded cheese with Fontina, muenster, or a smoked cheddar cheese.